One of the UK’s largest removals companies, offering cost effective removals to France, Spain and across Europe. 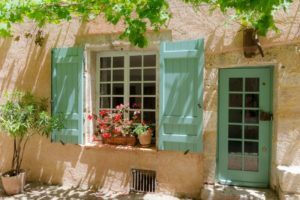 Whether you’re looking to relocate in Britain or moving to warmer climes on the continent, let Cranburys take the stress and strain of moving to France with expert and cost-effective overseas removals and storage solutions. We are AVENUE REMOVALS – experts in Residential, Commercial, European, Fine Art and Laboratory relocation offering a wide range of extra services to ensure customer satisfaction every time. 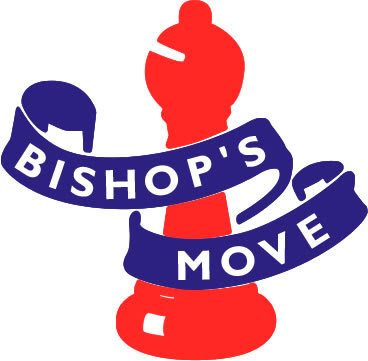 With over 160 years’ experience and as the largest independent UK family owned removals and storage company, Bishop’s Move provides comprehensive removals services to France at competitive rates, providing one point of contact and a UK nationwide network of offices. We’re a family run removal firm, offering a full range of services. We have regular loads going to all areas of France and will gladly try to accommodate any customer requirements. Organising your move is too important to leave to chance! Use the Professionals. Find out more about Murray Harper’s services between France and the UK. In the Dordogne, Haute-Vienne or Charente and looking for Storage? – Long & short term storage in a secure unit. – Large containers or individual walk-in rooms. – Indoor / outdoor hardstanding available for caravans, mobile homes, boats & cars…. Covering the Home Counties & beyond, for more than 30 years’ the ARK mission has been to look after you and your items. A dedicated and experienced Removals Manager will help with all aspects of your move- one of the reasons ARK are current commercial winners from the A.I.M. A variety of services to move your home/business at a cost effective price & pace to suit you. Direct deliveries available, Stress-free 60 day UK-based storage facility. single items to full home relocations, weekly services to & from France & Spain. We are a family-owned removal company with over 100 years of experience in moves throughout Yorkshire, the North East of England and the rest of the UK and Europe. Regular door-to-door services on both Full & Part Loads. Ask us about our Storage solutions. With a long history of removal & logistics experience, there are a few European routes that are not already “second nature”. We’ve built a reputation on flexibility, commitment and getting the job done! A comprehensive fleet of vehicles means no job is too small – from full house loads to professional pet services. Family run business, based in Oxfordshire, with over 35 years’ experience in domestic and commercial removals – both in the UK and Europe. We pride ourselves on our professional, warm and friendly service. An Easy Move is a French registered company based in the south of France providing both a local & international door to door service. Our family run business has many years experience packing, storing and transporting household and personal effects all over the world. Relocating to France means dealing with the legendary French administration. We help make the transition less complicated with all matters concerning day to day management. Find out how we can help with this and much more. Grant of Buckie, a family run removal and haulage business based in the North East of Scotland offer a professional service throughout the U.K. and Europe. As well as local removals we offer a weekly Nationwide and European runs. A. W. Wheadon & Sons is a family removal business established in 1957, specialising in relocations to and from France. Full house moves, movement of individual items and onward delivery of items purchased in the U.K., can all be accommodated. Secure on-site storage facilities available. French & German spoken. With us, you are guaranteed a first-class, personal service. Please contact us to discuss your plans.